Home Blog	Colon Cancer Stages: How Does Colon Cancer Progress? Why is this? How does colon cancer progress once it invades the body? For starters, let’s discuss how colon cancer begins. If a polyp does become cancer, physicians use stages to determine the cancer’s progression and the patient’s prognosis. What Are the Colon Cancer Stages? At Stage I, the cancer has begun growing through the thin muscles in the colon. It has not yet affected nearby lymph nodes or other parts of the body. At Stage II, the cancer has grown into or all the way through the wall of the colon but has not yet spread to other tissues, organs, or lymph nodes. To classify as Stage IV, the cancer must have spread to at least one distant organ. The three organs most commonly affected are the lungs, liver, and the lining of the abdominal cavity. These stages explain why it is so important to detect colon cancer early, when it is most treatable. 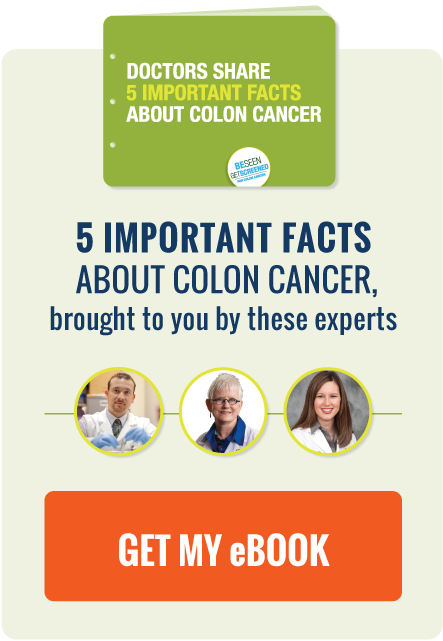 Screening can prevent colon cancer and save countless lives, so if you are 50 or older, or considered at higher-than-average risk for colon cancer, download our free Doctor Discussion Guide and talk to your doctor about the various screening options available to you. 4,5,6,7Lansdorp-Vogelhaar I, van Ballegooijen M, Zauber AG, Habbema JD, Kuipers EJ. Effect of rising chemotherapy costs on the cost savings of colorectal cancer screening. J Natl Cancer Inst. 2009;101(20):1412-22.